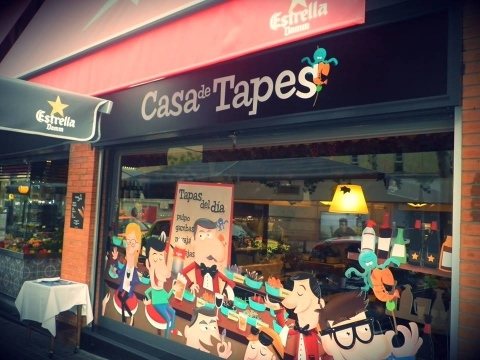 This restaurant is owned by the same family as the in Restaurante Rías de Galicia. Prices are moderate and high quality products. Family Iglesias opened this restaurant in 1992, and since then, has been attended by friendly staff offering excellent grilled vegetables, seafood, fish and meat. Since 2013, Adrià has moved from the traditional dishes towards amazing tapas that can be combined with the previous extremly recommended is Chuleton de Buey a la Piedra, cochinillo, or dorada a la brasa, and other galician traditional dishes. 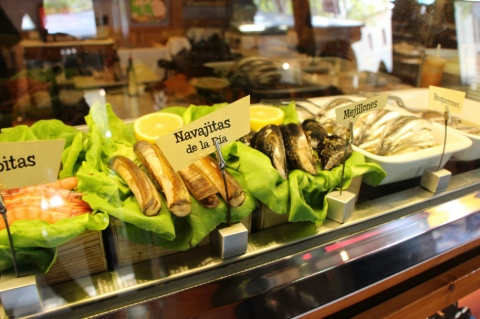 We recommend the mussels, navajas, Anchoas Lolín, Ostras Gillardea and miniburgyer of rabo de toro. 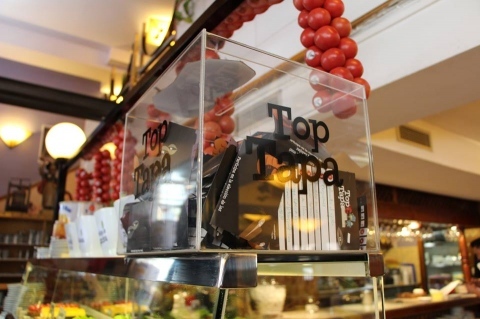 Do not expect a comfortable restaurant but an amazing tapas bar full of exceptional market fresh products.